The African lion is the second largest living feline species after the tiger. It is found in sub-Saharan Africa and Asia. Because of the beauty and strength of this creature, it is nicknamed the "king of the jungle." Adults vary in color, but typically their fur color is light yellow-brown. Adult males are unique and easily recognizable among the big cats because of their thick brown (and sometimes black) mane that encircles the necks. The mane is used for protection while fighting since it provides an excellent intimidating display. Head and body length is eight feet and ten inches, and the tail can reach up to three feet and five inches. Lions can weigh up to 550 lb. African lions are found in savanna grasslands where they prefer the presence of Acacia trees to serve as shade. They are very social and live in large groups called "prides" consisting of up to 15 lions. Most prides consist of only a single male (or a small group of two to three males) and the rest females. Typically all of the females and their young are related. Females do almost all of the hunting, and the pride feeds on a wide variety of prey, from wildebeest, impala, zebra, giraffe, buffalo and wild hogs to sometimes rhinos and hippos. They are also known to attack elephants when food is scarce. Mating occurs year round, and the female gives birth to three to four cubs typically after a gestation period of 110 days. The cubs are able to hunt at 11 months and remain with their mother for at least ten years. Lions are endangered mainly do to hunting and persecution by humans. Since they need large territories to hunt successfully, habitat loss is also a problem facing lion populations as a whole. They are considered a threat to livestock by ranchers who may shoot them or poison carcasses to keep them away from their livestock (lions are also known to eat dead animals, and the ranchers often poison the dead animals to kill them). To preserve the speices, lions are present in a number of large and well-managed protected areas. Fortunately, they remain one of the most popular animals of the must-see lists of tourists and visitors to Africa. Resolving human lion-conflict is a high priority for conservationists, as well establishing more wild populations in protected areas. Copyright Notice: This article is licensed under the GNU Free Documentation License. It uses material from the Wikipedia article "Lion". Glenn, C. R. 2006. 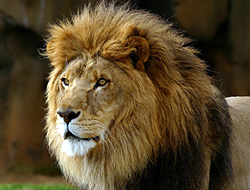 "Earth's Endangered Creatures - African Lion Facts" (Online). 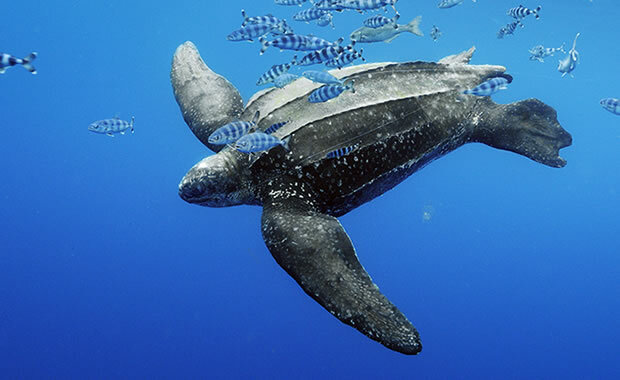 Accessed 4/23/2019 at http://earthsendangered.com/profile.asp?sp=11854&ID=1. Need more African Lion facts?